Oh look, a haul this early in the year. Typical. 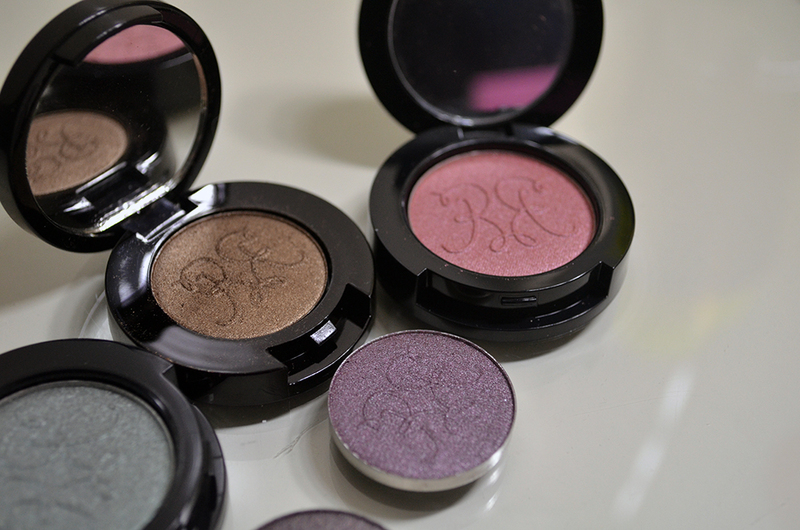 I bought a couple of Rouge Bunny Rouge eyeshadows because a couple of places, namely Luxola and the RBR site itself, had them on sale. I ended up buying one of the primers also (???) and a few items not on sale. Agh. Let’s begin? I only have one other RBR shadow (Solstice Halcyon), which I wasn’t super crazy about, but I knew that Belly, Sunny, Teri, and Shari all love the formula, so this purchase was pretty much a long time in the making. From L-R, I have Bejewelled Skylark, Periwinkle Cardinal, Abyssinian Catbird and Tantalizing Lovebird. 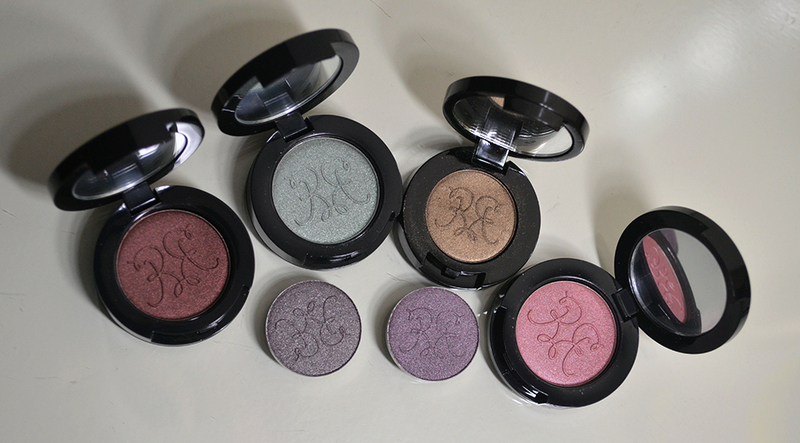 The refill pans below are Eclipse Eagle and Delicate Hummingbird, which were the only ones not on sale. Abyssinian Catbird was a purchase from Luxola, whereas the rest were purchased from Rouge Bunny Rouge. The RBR ones were about 50% off and on Abyssinian Catbird, I used a 20% off coupon, I think? BS, PC, and TL are all bigger pans, which means that they’re older stock. Belly wrote a post about her RBR eyeshadows not too long ago and pointed out the size reduction. They were already the smaller size when I learned about the brand. The older pans are at 2.4g and the newer pans contain 2g of product. For comparison, MAC eyeshadows are at 1.5g, Le Métier de Beauté are at 3.8g, shu uemura are at 1.4g, Addiction are at 1.2g (??? ), Art Deco are at 0.8g, Wet n Wild are at 1.7g, and Make Up Store are at 3.5g. The RBR pans are somewhere in the middle. 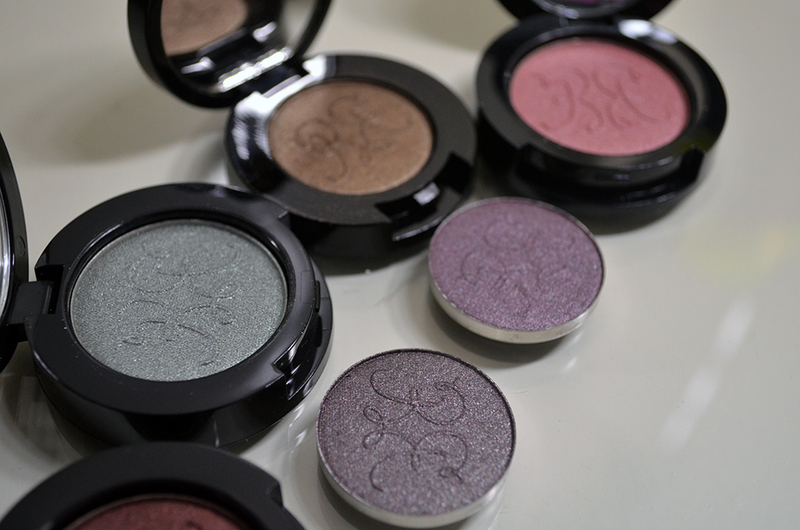 Right off the bat, I will say that these eyeshadows are amazing. I think Solstice Halcyon was just a really subtle color. It’s great, but I wasn’t wowed by the RBR formula because of it, like I am now. I mean. Let’s all take a moment to appreciate this, shall we? One swipe each, on a bare arm, sans primer. Abyssinian Catbird was the most buttery and most pigmented, followed by Bejewelled Skylark. Both stained my skin after I wiped the swatches off with tissue. 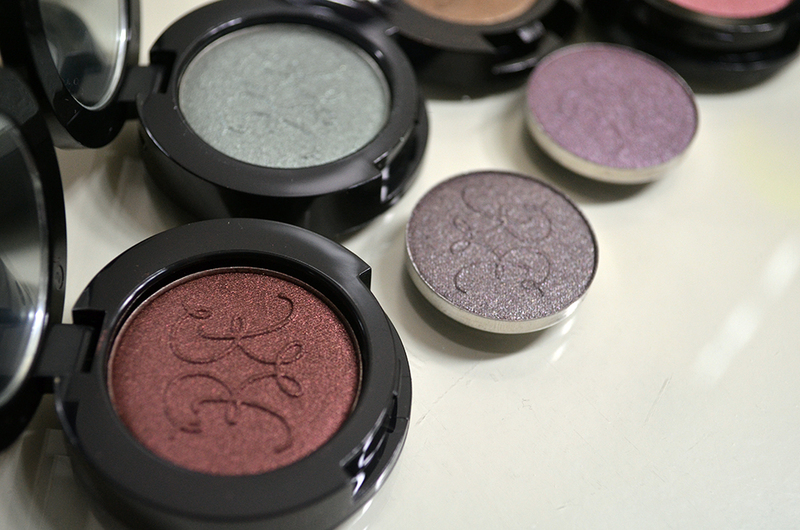 The packaging and eyeshadows are pretty great, too. Each is housed in a pretty sturdy case with a mirror and thick plastic. A note on that, ahem. I am ashamed to say that I dropped ALL of the non-refill singles from quite a height (I was standing up) and they all escaped my clumsiness unscathed. Um. Score one for Rouge Bunny Rouge? I just love how their logo is stamped on the pans. So pretty. The pans are a little bit bigger than MAC’s, so they frustratingly don’t fit in the MAC or TKB palettes, being slightly bigger by a literal hair. They are magnetized, though, so get your Z-Palettes ready. OK, so for my next trick, here’s a primer and a lipstick. 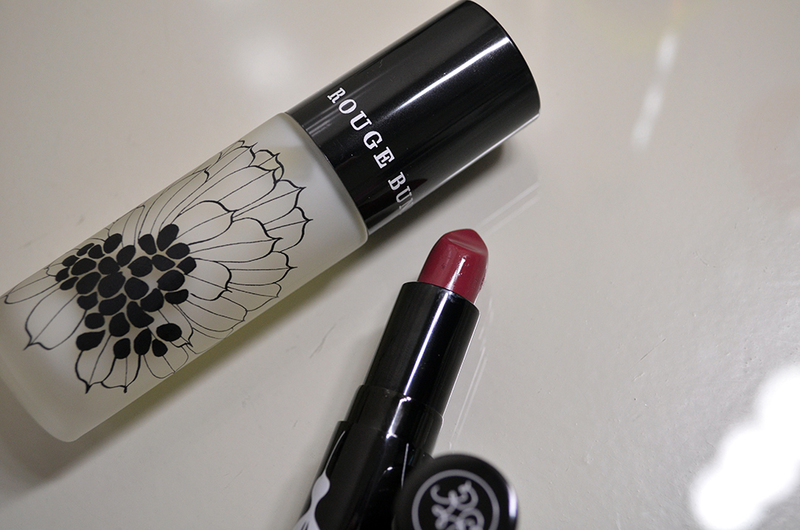 OK, I can explain the lipstick (wait for it…) but the primer was an impulse buy, also from Luxola. I am still testing it out but so far, I like it a lot. It’s called Prelude in the Clouds Aqua Primer. They have weird names like that, for real. Their copywriter lives in a surrealist dream land, I’m willing to bet. OK, so this lipstick, which is from their “Succulence of Dew” range, aka sheer lipstick, is called Murmurings. This was sent to me instead of the Bohemian Waxwing refill I ordered. Murmurings is a pretty warm rose color and it seems to be a popular lipstick shade, so go me? The formula is pretty good, from what I have seen so far. More later. Also, don’t worry, I fixed everything with the Customer Service Representative. They were excellent, helpful, and quick to respond. They told me to keep Murmurings, which is why I swatched it in the first place. 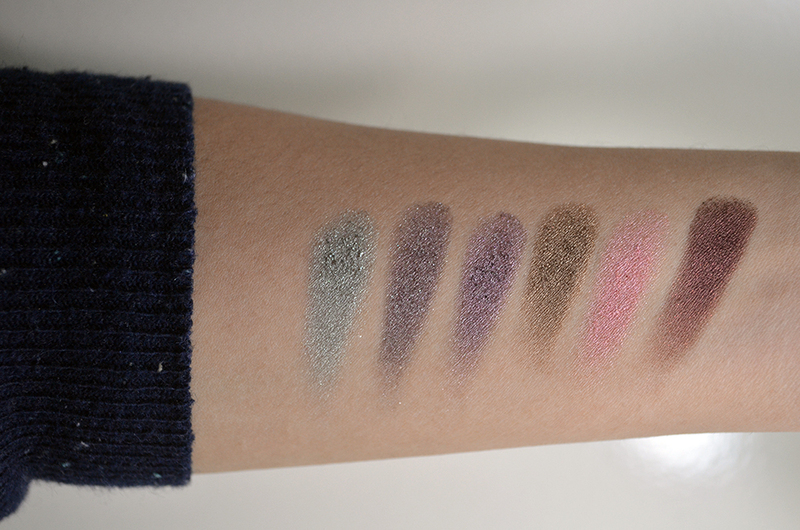 I’m waiting for Bohemian Waxwing to get here so I can do an RBR eyeshadow round-up, if that’s something that interests anyone. Luxola is great. They are based in Singapore, I think, and you’ll notice that their pricing is a little higher than standard retail prices. But international shipping to the Philippines (when you spend a certain amount) is free and goes straight to your house. It also takes just a couple of days. Whaaaaat. That’s amazing. As a compulsive online shopper, that right there is the best deal. I lose so much money on shipping alone. While Rouge Bunny Rouge was great to deal with, they use DHL as their shipping service provider. Which meant that I was made to pay exorbitant shipping and handling charges (4 digits). Pros are quick delivery, straight-to-house delivery, tracking no. The only con is the price. Oh well. Now I know. And that’s that! Honestly, this is becoming one of my favorite brands. I feel like they’re a little bit out of my price range to keep up with, especially with the issue of shipping, but if ever they go on sale in the future, I definitely wouldn’t hesitate getting more products. I’m eyeing eye pencils and blushes! Have you broken your resolutions like I have? Want to vent? The comments area below is your oyster. Knock yourself out! I know, right? 🙂 I wouldn’t have picked it out for myself! 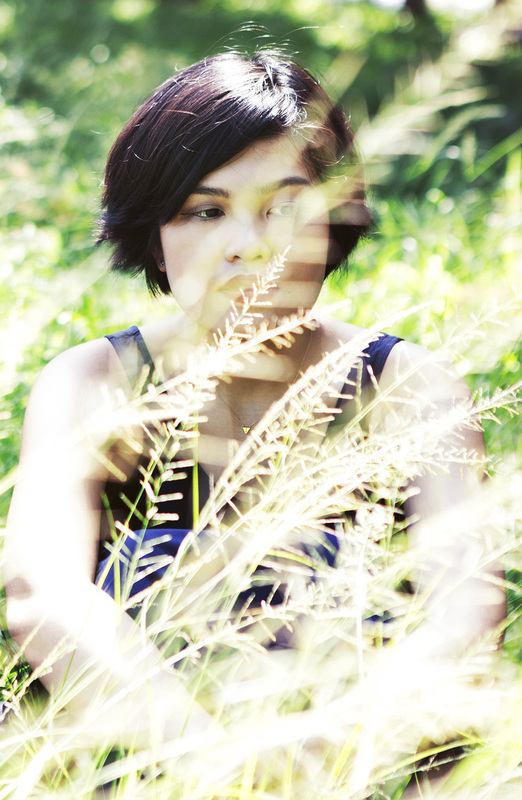 Hey Carina, thanks for the link love! These ARE amazing, aren’t they? Definitely some of my favorite single eyeshadows EVER made! I’ve been waiting for the two new shades they promised a while ago. The second they become available I’m getting them! No problem, always happy to link a blog I love reading. 😀 They are definitely awesome. 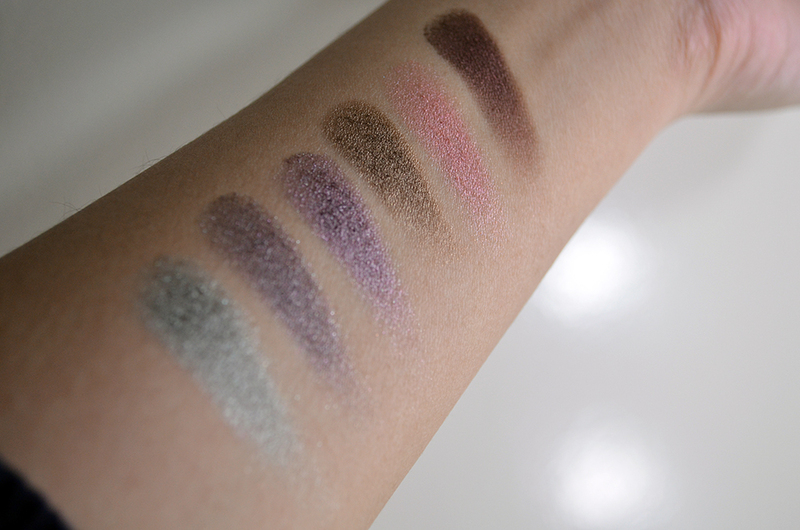 What would you say are your Top 5 Eyeshadow formulas? AND OMG. 2 new shades? I can’t wait! I love the selection you have there!!! 🙂 I LOVE murmurings. Their sheer lipsticks have some of the most lovely shiny finishes! Yay, thanks Belly! Not gonna lie, I used your swatch post for reference. 🙂 I LOVE Murmurings, too. I put it on today and wow, I am in love. I only had one other lipstick, and it was from their Colour Burst range. Ah, now I’m not sure if I am happy learning about Luxola. I’m afraid it might be a dangerous thing! Definitely dangerous, but honestly perhaps the best online shopping experience I’ve had so far. Carinzzzz. I love the colorful ones you got. Im contemplating on getting more but will resist for now. 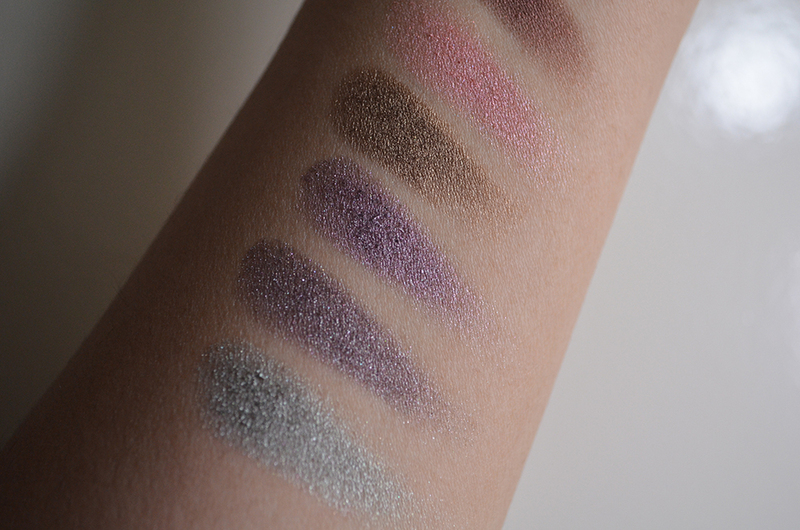 The swatches look so YUUUUM. Haha. 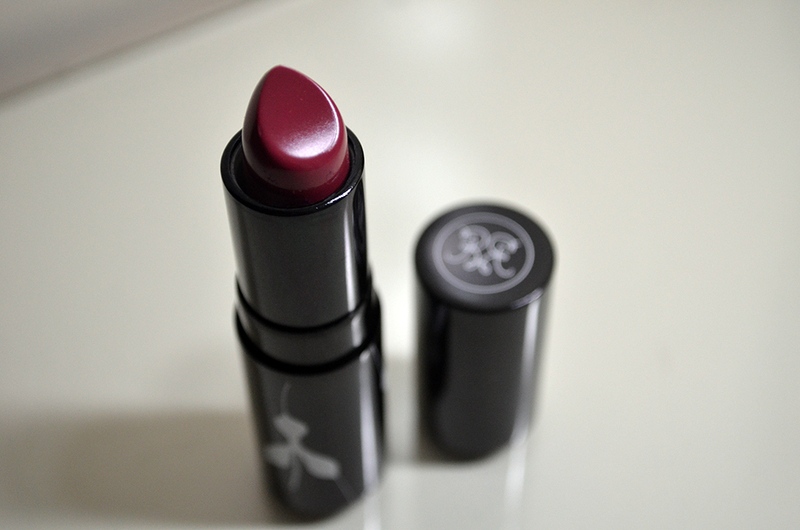 And I love the shade of lipstick you got – a red that’s kind of up my alley. Medyo natawa nga ako pagka-swatch ko e. “Teka lang… Parang may iba…” Hahaha walang neutrals! 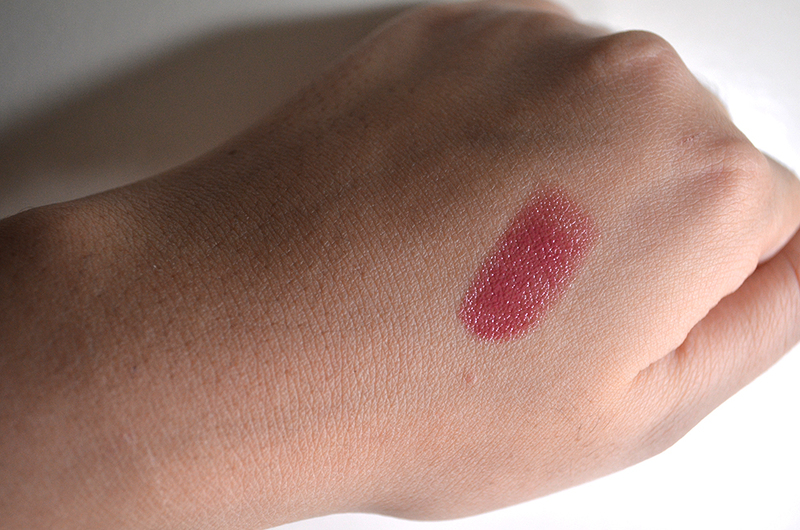 Also, I have Murmurings on in my recent UD Naked post. 🙂 It’s suuuuper sheer and suuuuper glossy. I love it. Ah! You misread. 🙂 Luxola’s shipping is THE BEST. RBR.com uses DHL! Thank you! 🙂 I’m glad you think so. Thank you Joyce! 🙂 I find Eclipse Eagle so pretty, so great pick. 😀 Their shipping is actually great, it’s the DHL charges that are so sky-high! 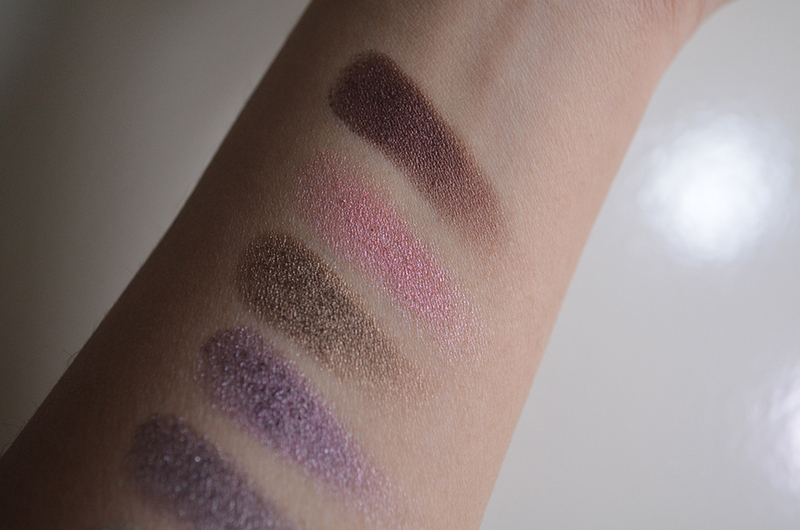 Hnnggg amazing swatches you got there, Ate Carina! They all look so beautiful and smooth and pigmented and I.just.want.them.all!!!!! I feel your heartbreak re: shipping charges. I wish they were all free 😦 btw, you didn’t pay any customs tax, did you?